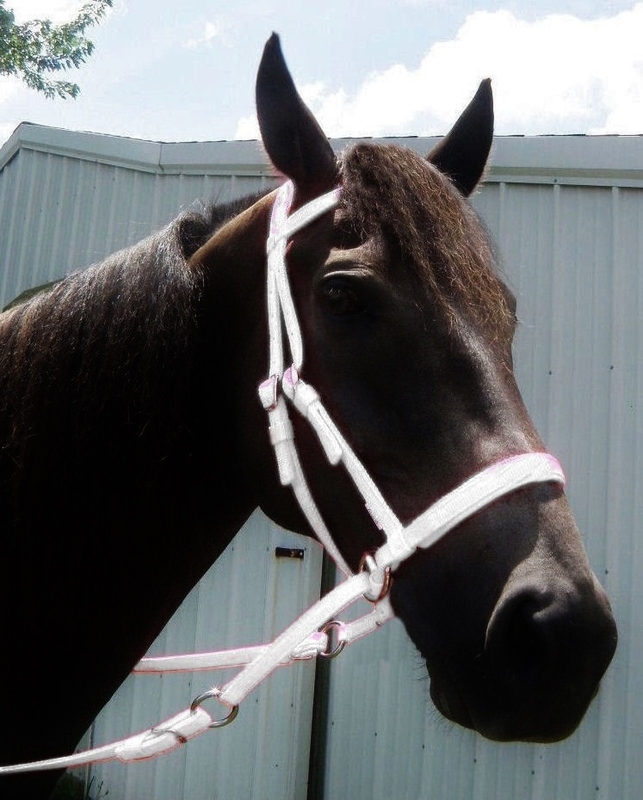 Nylon bright-color headstalls are made in the USA out of premium triple-ply webbing. While nylon is not as resilient to abuse as beta it is quite economical and serviceable to provide years of use with proper care. All hardware is stainless steel and will not rust. Available in the following colors, White, Purple, Navy Blue, Hot pink, Lime green,and Red. (colors may differ from the sample grid, depending on your monitor settings). Nylon Bright colors are available in Medium size only (fits average horse). 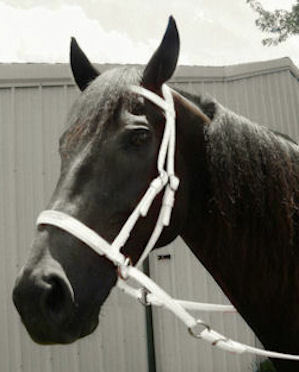 Nylon bright-color headstalls are made in the USA out of premium triple-ply webbing. While nylon is not as resilient to abuse as beta it is quite economical and serviceable to provide years of use with proper care. All hardware is stainless steel and will not rust. Available in the following colors, White, Purple, Navy Blue, Hot pink, Lime green,and Red. (colors may differ from the sample grid, depending on your monitor settings). 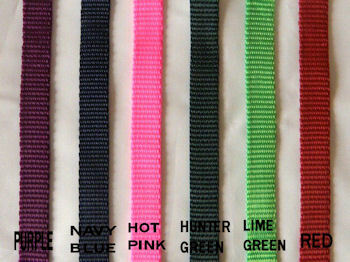 Nylon Bright colors are available in Medium size only (fits average horse).